Set forth for distant shores in comfort and style on MS Maasdam. Its wealth of enriching activities ensure there's never a dull moment. Feed your inner foodie during a live cooking workshop or demonstration by America's Test Kitchen, or unleash your fitness enthusiast at the ship's fully equipped fitness center. Even your kids will have something to do, thanks to activities led by Club Hal's qualified staff. By the time you reach your destination, whether it be the Caribbean, the Panama Canal, Canada, New England, or Europe, you'll be energized and refreshed. 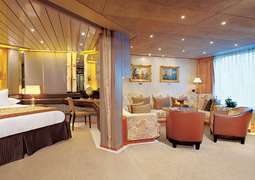 Holland America Line offers staterooms that are as spacious as they are elegant. 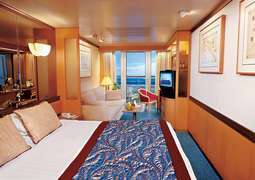 All rooms, from standard interior staterooms to luxurious suites, come with great perks that give your stay a special touch. Several rooms come with a view, so you'll be mesmerized as you gaze out at sea. When you're ready to eat, the chef-certified, diverse dining options ensure you leave with a full stomach. 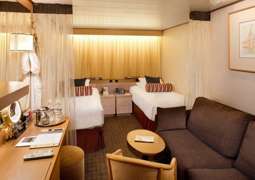 MS Maasdam offers everything you could want on a cruise ship. 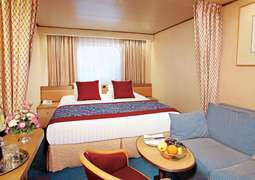 Standard interior staterooms are 182 square feet, and like other classes, come with room service between 7:00 AM and 10:00 PM. The three suite classes – Vista, Neptune, and Pinnacle – provide ample space with a separate living room and verandah. With a lanai or oceanview stateroom (both 197 square feet), you can still enjoy gorgeous views of the blue ocean. Holland America Line's Culinary Council, comprising five world-renowned chefs, endorses all menus, so you know you'll be eating nothing but the best. Grab your favorite foods from one of the many themed stations at the Lido Market, and revel in panoramic views as you eat. Alternatively, visit The Pinnacle for the best American Pacific Northeastern dishes. The natural world and ocean come to life during concerts, movies, shows, and children's activities, which are provided exclusively by BBC Earth. Learn how to edit and display your photos at the Windows Digital Workshop, or refine your cooking skills during a workshop by America's Test Kitchen. At Club Hal, your kids will love interacting with other children as they play, eat, watch movies, and dance. 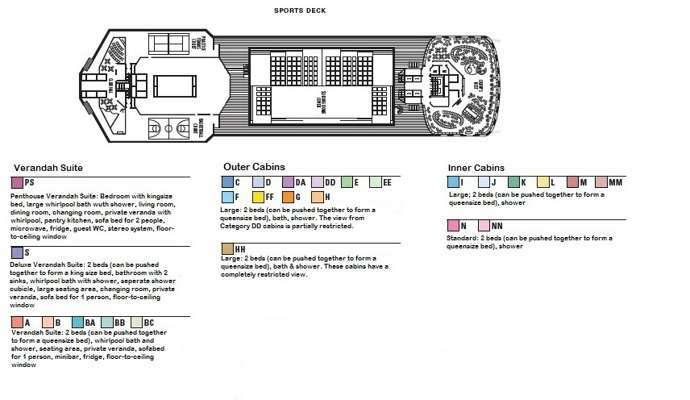 MS Maasdam stipulates smart casual attire on regular evenings – men should wear khakis, nice jeans, and collared shirts, while women should wear dresses, skirts, or slacks. On gala nights in fine dining restaurants, collared shirts and slacks are required for men, and women should wear slacks, skirts, and dresses. If eating at the buffet, regular attire is fine during informal evenings. During the day, T-shirts, swimsuits, shorts, and tank tops are allowed.